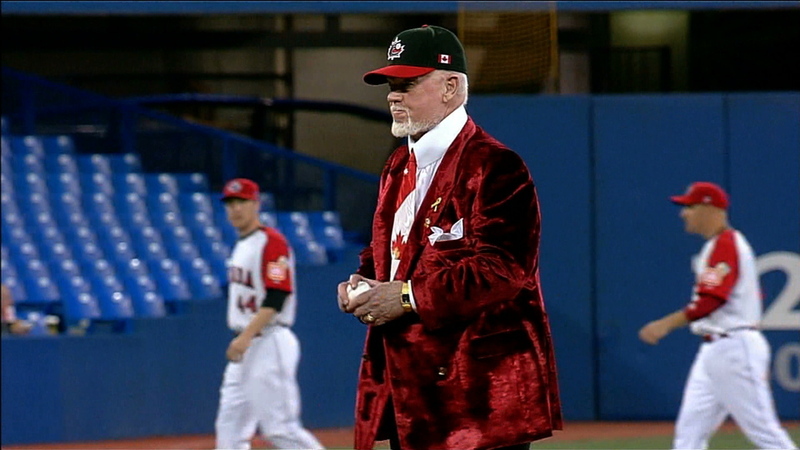 Continuing his recent love affair with baseball, Don Cherry threw out the ceremonial first pitch before last week’s World Baseball Classic game in which Italy eliminated Canada by a score of 6-2. 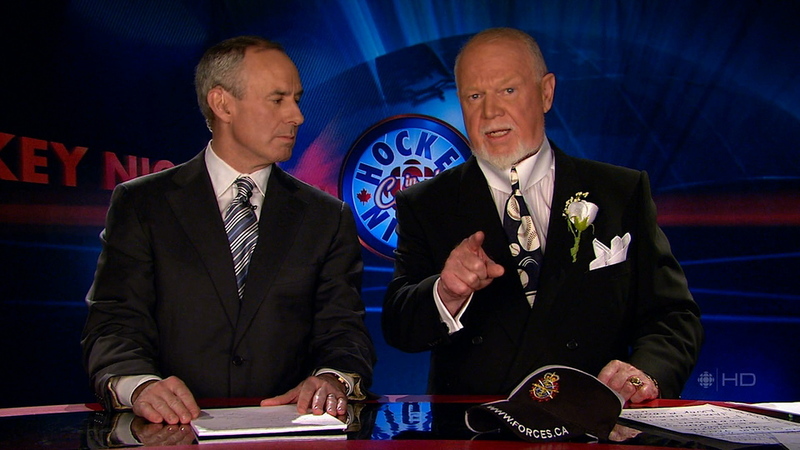 The clip was shown during last week’s Coach’s Corner segment; unfortunately Don didn’t turn towards the camera enough to glimpse the full glory of his cap and tie, but at least the crazy red velvet (or whatever) of his suit jacket is visible enough. 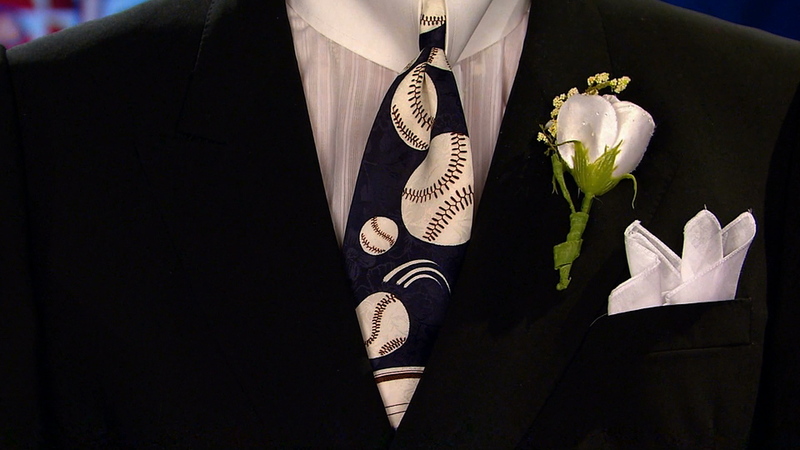 On anybody else, this would rank as one of the most egregious violations of good taste ever to have been perpetrated. 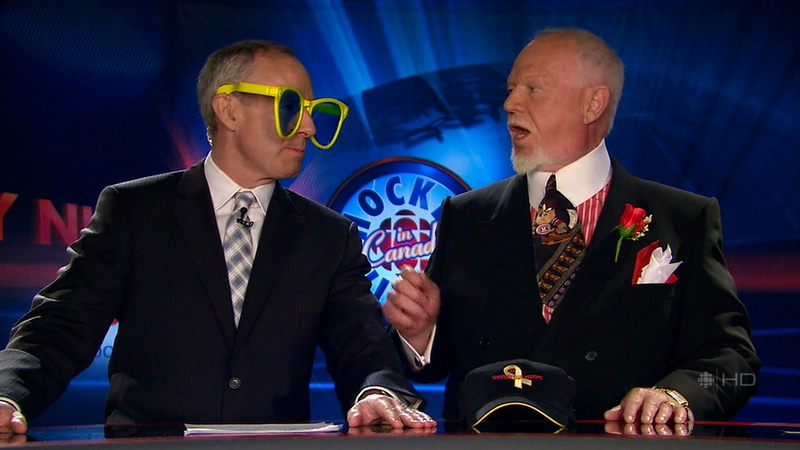 On Don Cherry, this is just another Hockey Night in Canada. 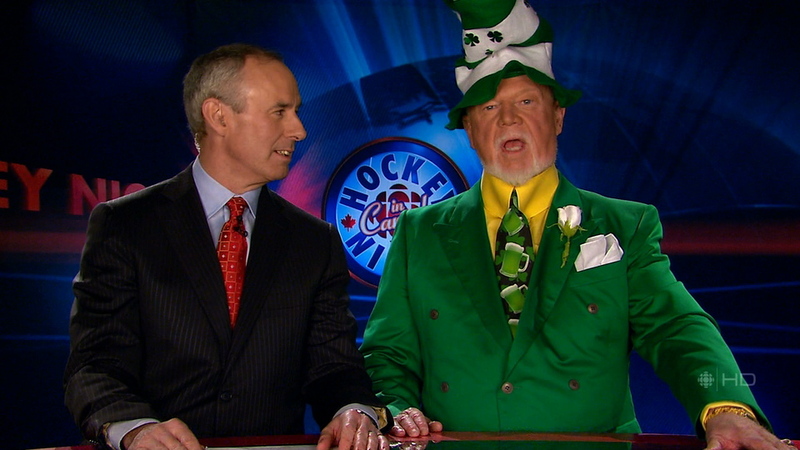 Note especially: the amazingly loud yellow shirt, the great St. Patrick’s Day hat (which Don had to take off a few minutes into the segment since it was even preventing himself from concentrating), the terrible triple-breasting on the suit jacket itself, the tie with green beer and shamrocks, and the inferior-quality handkerchief in the breast pocket. 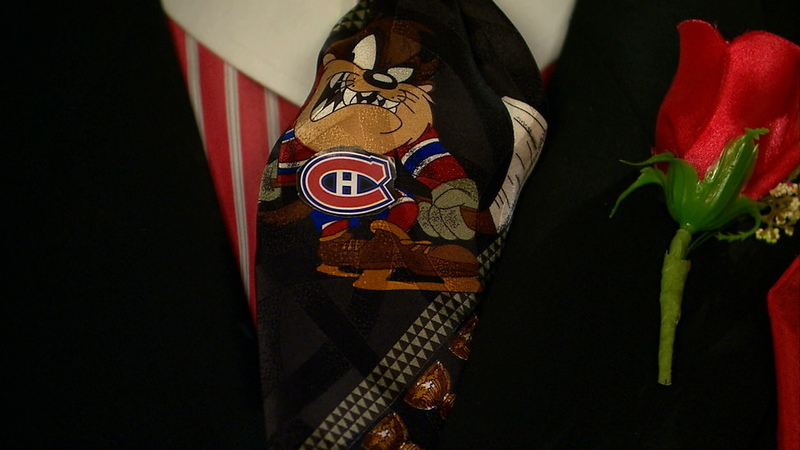 Anyway, here’s the video of the incident from tonight’s Coach’s Corner. Enjoy at your peril.